Shahid A.H.M. 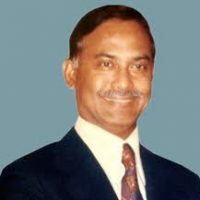 Kamruzzaman is considered one of the few politicians who could be a place in the hearts of people in Bangladesh through their works and achievements known to be established. The nation will always be for his service during the liberation war of 1971 with great respect in memory. Their skills and abilities to form a government Mujib Nagar and lead the liberation war of course the honor of claiming heroism. It was in all the elections that took place on the 33 years of political life undefeated. 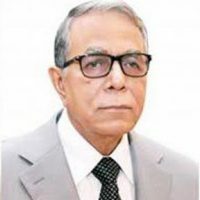 He was the Interior Minister of the Provisional Government and Minister of Disaster Management and Relief Panel independent Bangladesh Prime Minister. He was born 26 June 1923 in Nator, Rajshahi Division under. His father was a resident of Kadirganj, Rajshahi. Hamid Miah, was elected his father M.L.A. in the years 1937 and 1946. His grandfather, Mohammad Shardar Hajilal Jamindar was a famous politician and social worker in British period. It was close to Sher e Bangla AK Fazlul Huque (1873−1962) and a fan. M.L.C. elected (Member of the Legislative Council) of undivided Bengal are twice for periods 1924 – 1926 and 1930 – 1936. A.H.M. Khayruzzaman Liton, from a family of great political and social exposure, won the Rajshahi City Corporation mayoral elections held fourth August 2008 by a wide margin and took office on 14 September. A.H.M. Liton Khayruzzaman Kadirganj Rajshahi on 14 August born in 1959. He studied at Rajshahi Collegiate School in Class 3 and Class 7 Then he spent the Ramakrishna Mission Bidyapith HSC 1976th In 1979, he completed his honors degree in English from the University of Calcutta. LLB adopted Rajshahi University in 1983. In 1985 he was inducted as a member of the Bar. At the same time, he joined active politics as the fourth generation of the family to join the Awami League in 1986. He participated in the elections for the post of the deputy in the years 1996 and 2001, Rajshahi-​2 (POBA-​Boalia). 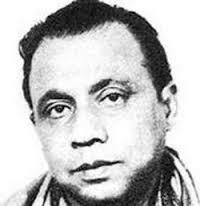 He was the General Secretary and Member of the Central Committee of the Awami League City until the elections. Abdul Hamid was born into a noble family Kadirganj Rajshahi Muslim in 1987. His father, Haji Mohammad Jamindar Laal was MLC (Member of the Legislative Council) undivided Bengal in the British period. He took a leading role in the provision of land for the citizens through the establishment of civil rights law. He has participated in several volunteer organizations such as Rajshahi, Muslim Association, Anjumane Hemayete Islam, Islam Mofidul Anjumane. As an admirer of art and culture Laal Mohammad Haji Rajshahi Museum Barendra helped find and collect antiques. Its political implications for several prominent politicians have their way through your home. After Abdul Hamid came in close relationship with the legendary figures in their childhood policy and gradually fascinated by politics. With the progress of time, has been an important political figures Rajshahi and as one of the main leaders of the Muslim League elected to the East Bengal. As Chairman of the Committee Rajshahi Muslim League, which organized the Muslim League in the region and held their ideology and objectives successfully mass people. Thousands of people were killed in India during the 1946 race riots. When the fire in Dhaka, Noakhali, Bihar and several other parts of India, were on the point spread Rajshahi, senior leader of the Muslim League and then Rajshahi Abdul Hamid, Mr. Madar and Bakhs community of progressive people come together and make sure that Rajshahi is omitted. Abdul Hamid had an important role in the political affairs of life, social and cultural rights. Abul Hasanat Mohammad Shahid Kamaruzzaman, a perfect son of his father, Abdul Hamid, was a key organizer of the Liberation War, a former minister of the Government of Bangladesh and one of the four leaders. He was in the house of his maternal uncle in the village of Nurpur in district Natore thana born in Bagatipara. He began his studies at Rajshahi Collegiate School. Then came Rajshahi University after completing his matriculation examination. He received his BA (with honors) Presidency College in Calcutta. Mr. Kamaruzzaman has been involved in the politics of his law student life and was elected secretary of the Nikhil Banga Rajshahi district Chhatra Muslim League in 1942 and served as vice president, 1943 to 1945. In 1956 he went LL.B. at the University of Rajshahi Rajshahi and stepped Court judge. And he was a prominent lawyer in a short period. AHM Kamaruzzaman joined the Awami League in 1956 and was appointed General Secretary of Rajshahi District Awami League in 1957. Awami League was organized in Rajshahi on the basis of organizational capacity and eventually Mujibar near Bangabandhu Sheikh Rahman be. He played an important role in the movement of the tongue, says six movements, 1966, mass revolution of 1969 and the 1971 war of liberation. He was elected member of the Pakistan National Council in 1962 and 1965 as the candidate of the Awami League. He was secretary of the opposition in the National Assembly 1962 – 1964 and 1965 – 1969. During the liberation war, had the responsibility of the Minister for Relief and Rehabilitation Government of Bangladesh Independent 10th April 1971. The government has the 17th Oath April 1971 at the Baidyanathtala Meherpur district. After the vote take place, the place Mujibnagar and Prime Minister of the new government has been renamed, said Ahmad Tajuddin provisional capital of Bangladesh. The Mujibnagar government. 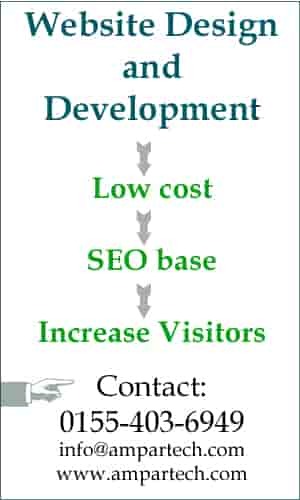 establish offices in Kolkata for a better working environment. Shadhin Bangla Betar Kendro Baliganj study the installed temporary Secretariat and the Government of Bangladesh was created in the Road Theatre. The Father of the Nation Bangabandhu Sheikh Rahman Mujibor as President, Syed Najrul Islam as Vice President, Tajuddin Ahmed as Prime Minister Mansur Ali as Finance Minister AHM Kamaruzzaman as relief and rehabilitation and Khondokar Mostak Ahmad as Secretary of Business, Law & Parliamentary have added to this government been. As Bangabandhu was in jail at the time, had Syed Islam Najrul the responsibility of the President. In the 16th December 1971 has increased Bangladesh appointed as an independent country in the world map and AHM Kamaruzzaman was Home Secretary, Relief and Rehabilitation. Dhaka Bangabandhu returned to the 10th January 1972, after his release from prison in Pakistan. 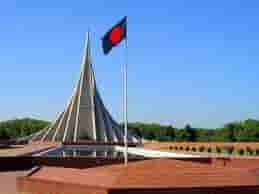 And then, the Ministry of the People’s Republic of Bangladesh was formed with its leaders. He took the responsibility of the Prime Minister. AHM Kamaruzzaman was the responsibility of the Minister for Relief and Rehabilitation (1972−1973). It was the responsibility of the Minister of Trade, when he was elected to parliament in the 1973 elections, where Rajshahi. After his duty as Minister of Commerce to 17 January 1974 came from the Ministry on 18 January. The 20th January 1974 with the title President of Bangladesh Awami League was, and remained in that post until February 1975. 7th June 1975, was chosen as one of the fifteen members of the Executive Committee BAKSAL (Bangladesh Krishak Awami League Sromik). After Bangabandhu was killed along with his family 15th August 1975 by a few young officers were sent AHM Kamaruzzaman with many others in jail. He was brutally third November 1975 killed in Dhaka Central Jail by some officers ignore all types of intruders law and justice. The four leaders have been killed on the same day were as follows: 1 Najrul Syed Islam, 2nd Tajuddin Ahmad 3rd, M. Mansur Ali and 4 A.H.M. Kamaruzzaman. His broken body was Kadirganj reduced after three long days, and was buried with the coffin to the cemetery Kadirganj family. AHM Kamaruzzaman had. A big contribution in the movement for the rights and the freedom of this nation He was a founder of nationality Bangali. He was the fourth member of the Education Commission of the Constitution. Chaired by Mr. Kamal Hossain He had an important role in shaping the draft constitution. Free contemptuous attitude and broad minded Kamaruzzaman policy has connected with journalism and press freedom, as well. Edited a monthly publication entitled “Probaho” by Muhammad Abdus Samad Rajshahi in 1954 was released. After a while, Mr. Kamaruzzaman claimed responsibility for the editor of this publication. Several obligations of its publication was discontinued after a short time. In June 1970, a weekly magazine called “Shonar Desh” of Rajshahi published with their initiatives and Sardar Amzad Hossain was the editor of the same. This publication was a secondary role behind the liberation movement.